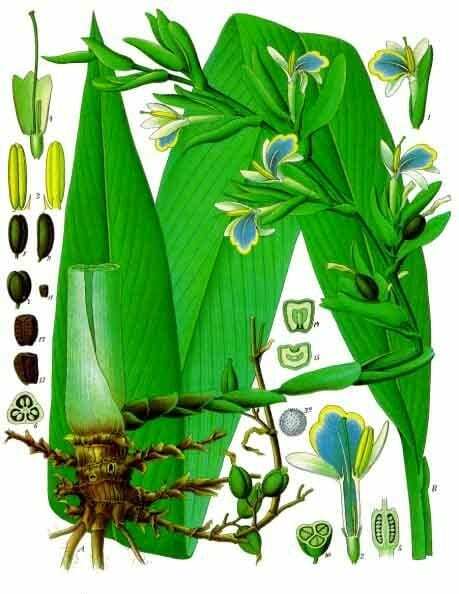 Species: Elettaria cardamomum (green cardamom) or Amomum subulatum (black cardamom), are sub-species of the Zingiberaceae (ginger) family and are therefore related to both ginger and turmeric. 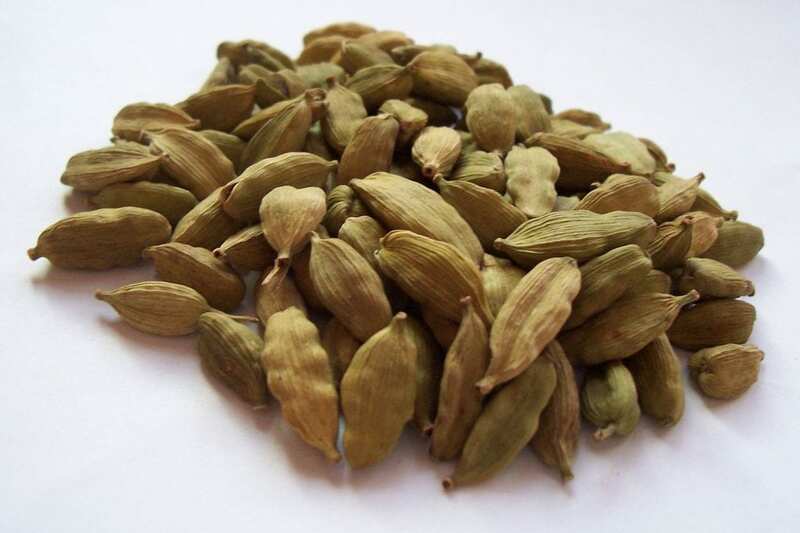 Green cardamom is the predominant variety used in gin production, and in this article all references will be to green cardamom unless otherwise specified. Geography: Cardamom is native to India and Indonesia and is cultivated in both Central America, particularly in Guatemala (one of the biggest producers), and Southeast Asia. Characteristics: Elettaria Cardamomum has long, pointed leaves and a pretty white flower. The seed-containing pods, which are the part used for the spice, are about a centimetre long, triangular by cross section and taper to a point at the end. 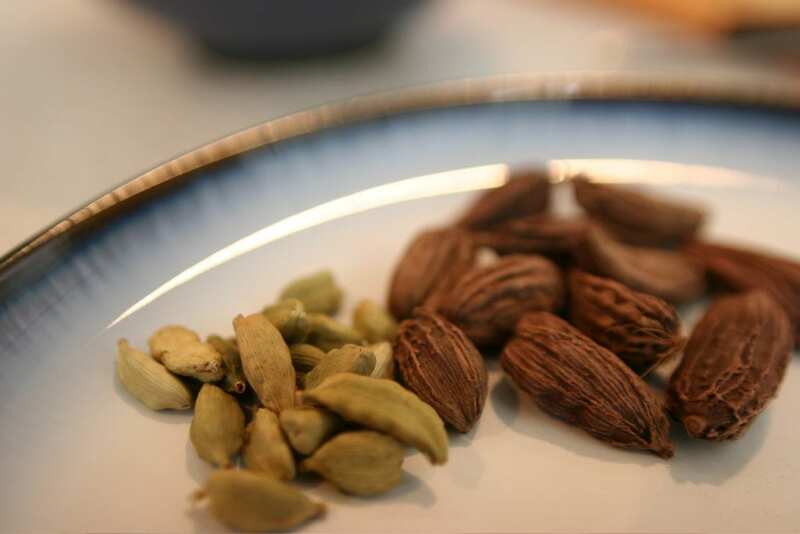 Green cardamom flavour in gin is complex: grassy, aromatic, citrussy, both sweet and hot, while black cardamom, as used by Dodd’s Gin among others, adds a more smoky character. Other Uses: Aside from gin production, green cardamom is a much-used spice in the cuisine of India, where ground cardamom is a main ingredient in both Garam Masala and Masala Chai tea. It is also a significant culinary ingredient in curries throughout the Middle East and Southeast Asia. Cardamom is also used in either tea or coffee in Korea, Iran and Turkey and throughout the Middle East; and in Northern European countries including Sweden, Finland and Norway for baking bread or buns. Black cardamom, which has a more savoury, smoky flavour is also used for hot beverages and for savoury stews in China, Nepal, Pakistan and Vietnam. Cardamom essential oil is high in terpenes and is used in soaps and perfumes; aromatherapists recommend it for focus and energy. Some medical studies have suggested cardamom may have antimicrobial properties and can be beneficial in treating gastrointestinal disorders, colorectal cancer, poor circulation and high cholesterol. It is recommended in Indian and Chinese traditional medicines for stomach disorders, mouth and gum infections, malaria and jaundice, while the ancient Romans considered it an aphrodisiac. Dr. Google prescribes cardamom for digestion problems including heartburn, intestinal spasms, irritable bowel syndrome (IBS), diarrhea, constipation, liver and gallbladder complaints, and loss of appetite, as well as the common cold and other infections, cough, bronchitis, sore mouth and throat, urinary problems, epilepsy, headache, and high blood pressure. Fun Facts: Cardamom is the third most expensive spice in the world – only vanilla and saffron cost more by weight. Cardamom is named by chewing gum giant Wrigley as the active ingredient in its Eclipse Breeze Exotic Mint variety ‘to neutralise the toughest breath odors’ – a common usage of cardamom pods around the world for centuries.